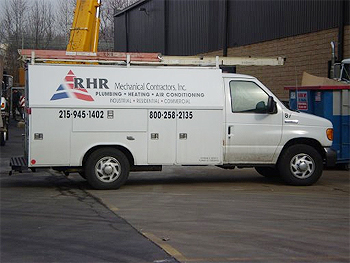 RHR Mechanical Contractors, Inc. is a family owned mechanical contracting firm with strong roots in Bucks County and throughout the Delaware Valley. Its history goes back to 1945 with the founding of H.A. 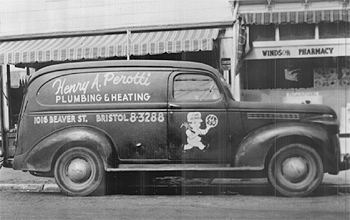 Perotti, Inc. by Henry A. Perotti, Sr. Over the years, the company diversified. The name was changed to RHR Mechanical Contractors, Inc. which began to specialize in design-build projects including HVAC and process piping. The company operates under the open shop concept and employs 45 people, who are our strength. RHR Mechanical, as a leader in the mechanical contracting field, strives to provide high quality products and superior customer service at a competitive cost while forming lasting relationships with clients and employees. To seek continued growth and expansion in the Tri State area without jeopardizing the principles upon which our company is built, primarily complete dedication to the customer. To constantly apply a customer centered approach to our business where the service provided exceeds expectations. To operate under sound financial principles and to be a good steward of the company’s resources. To honor our commitments and in every situation do the right thing. To respect competition, as it brings out the best in us and is a constant reminder of the need for unsurpassed excellence. To create a workplace that fosters the professional and personal growth of its employees by providing career development and advancement opportunities, as well as moral and spiritual support. To respect the contributions of individuals within the company, to provide a network which supports and strengthens their efforts and to work together for the benefit of one another and the company as a whole. To remain connected to the community that supports our company, and to continually be a positive reflection of the company’s tradition and legacy set forth by our founder.